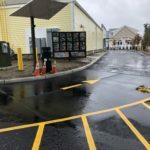 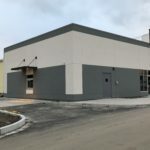 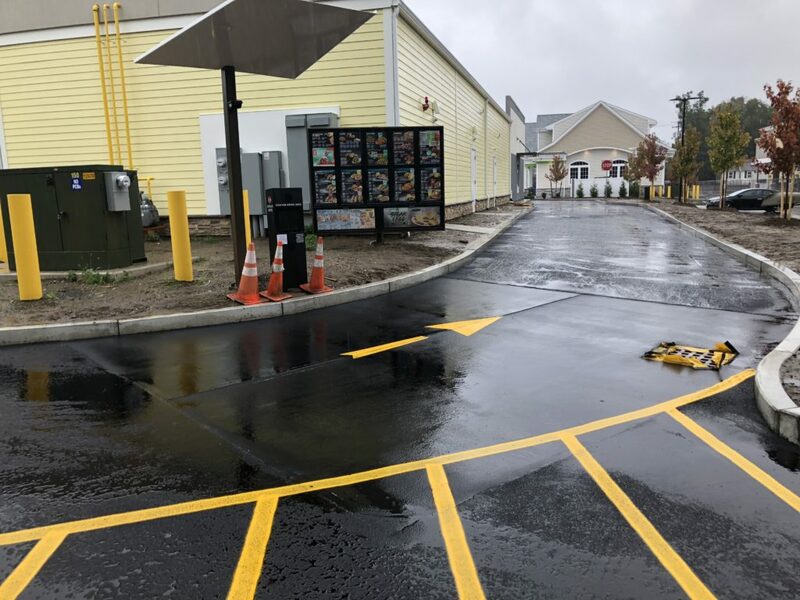 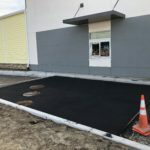 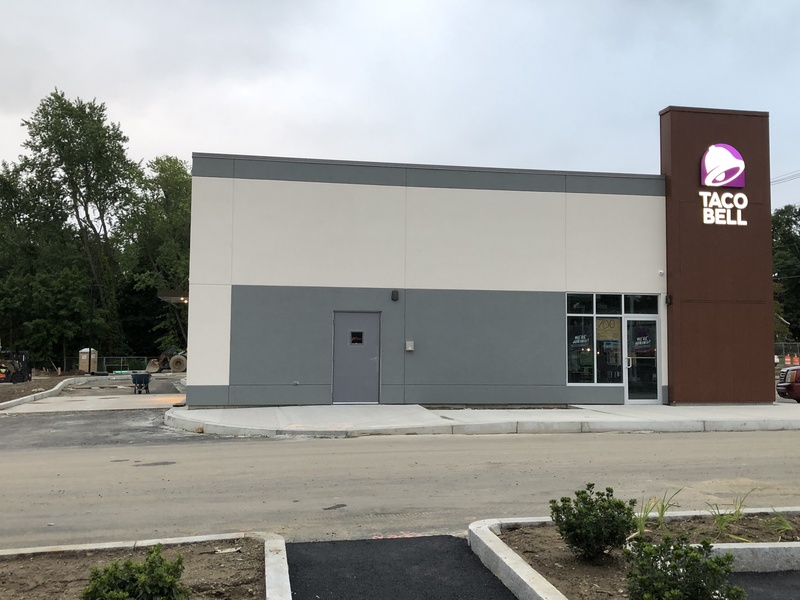 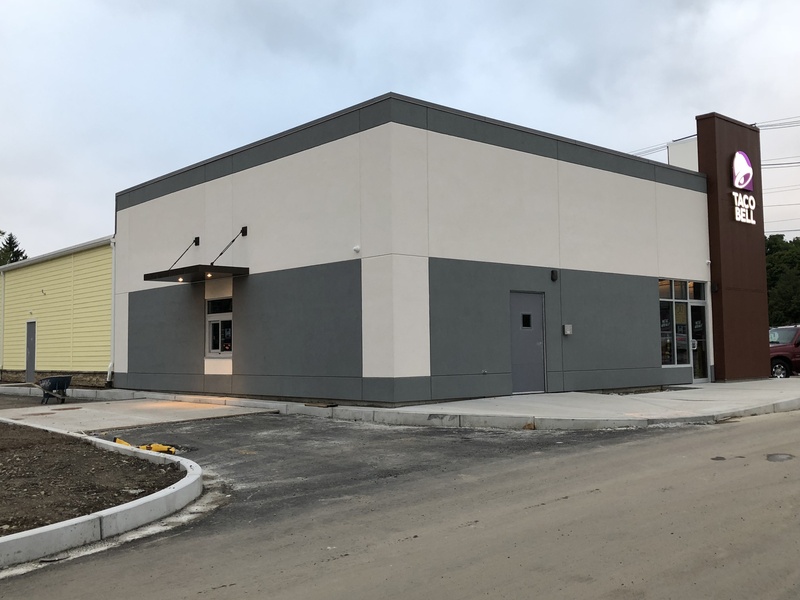 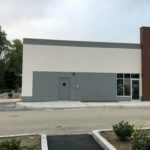 This Taco Bell drive through was a test location for the commercial Black CPP. 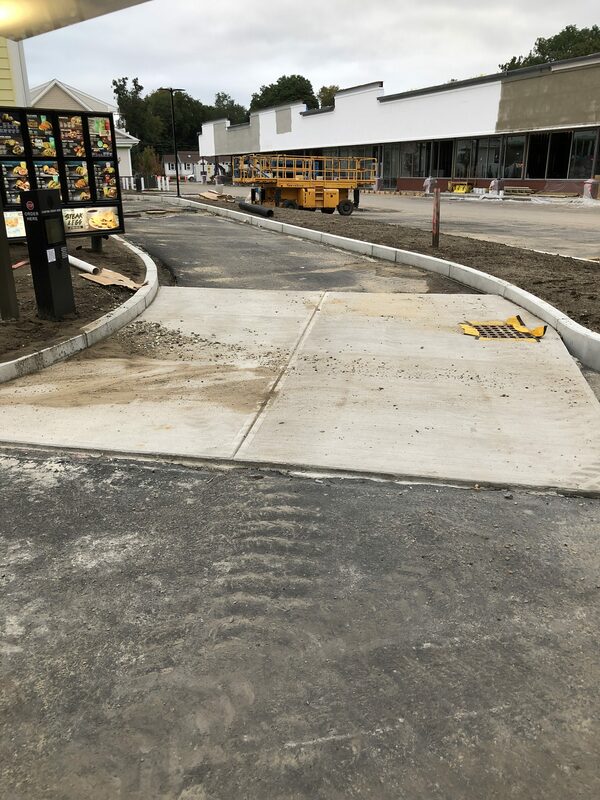 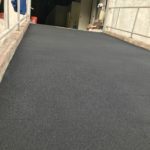 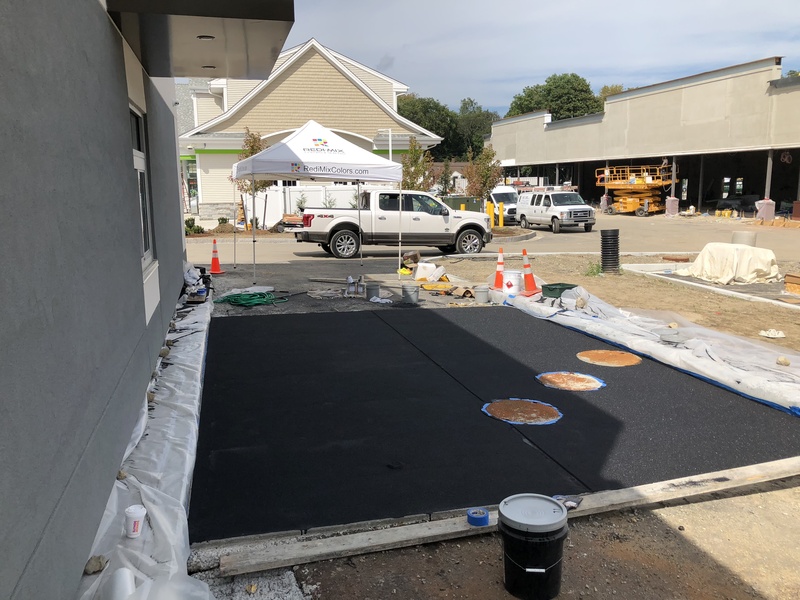 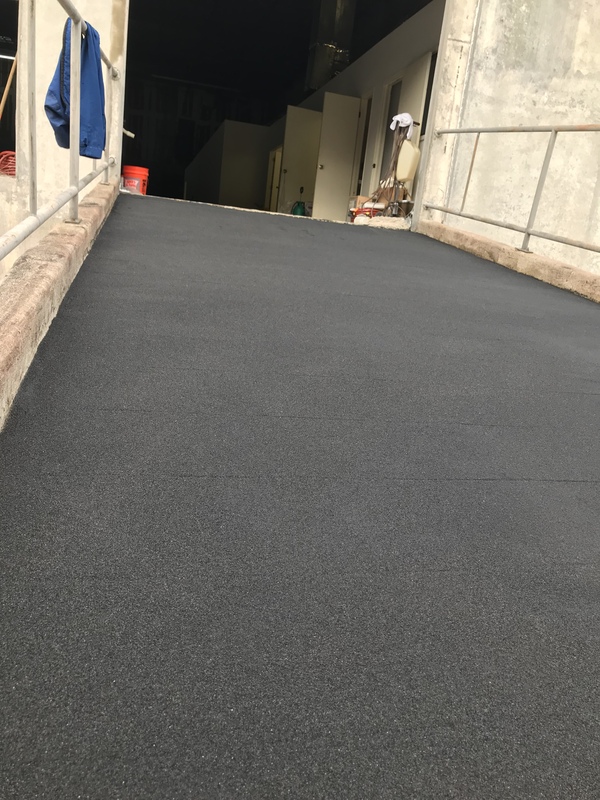 We applied the process with no grinding of the surface, we left the high spots and are testing the wearing on an uneven surface profile as well as winter weather conditions. 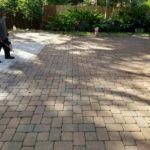 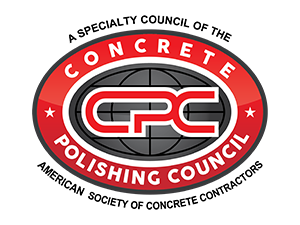 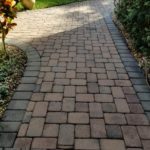 In the spring we will return to sand/grind and repair the high spots as well as inspect for winter salting and sanding wear. 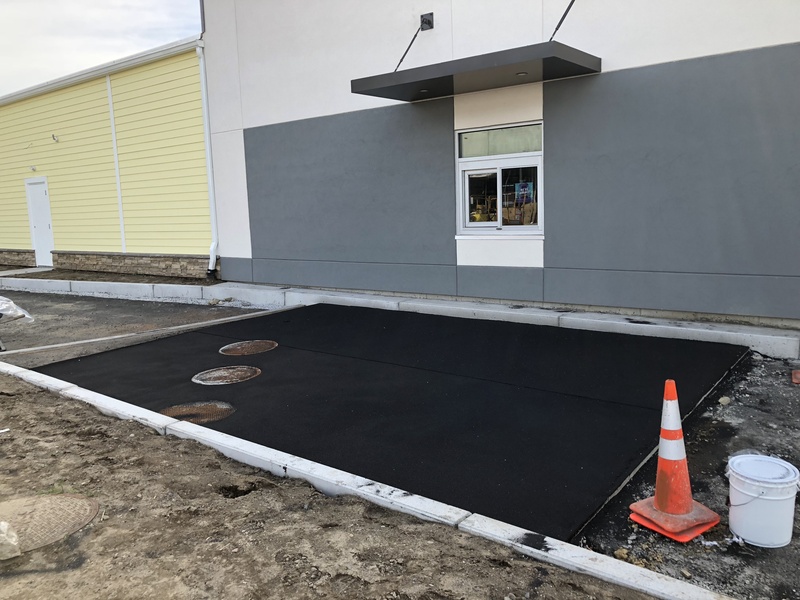 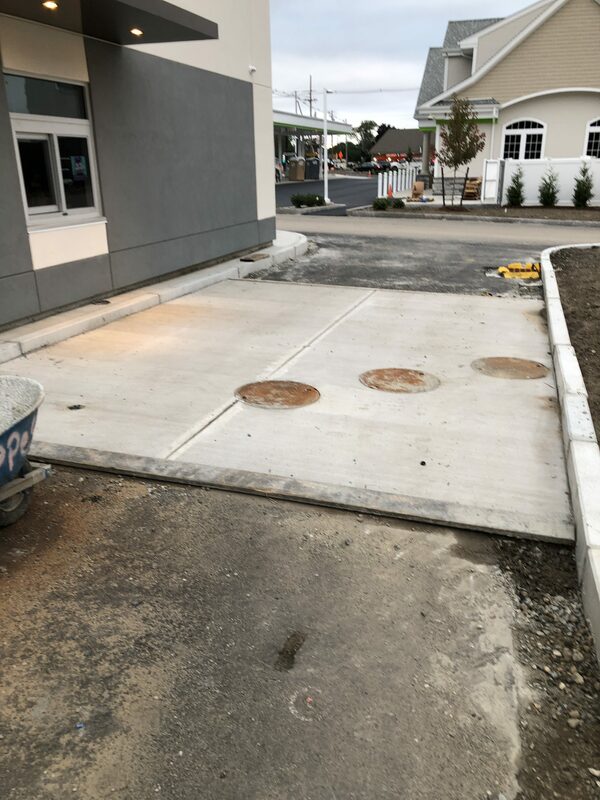 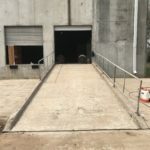 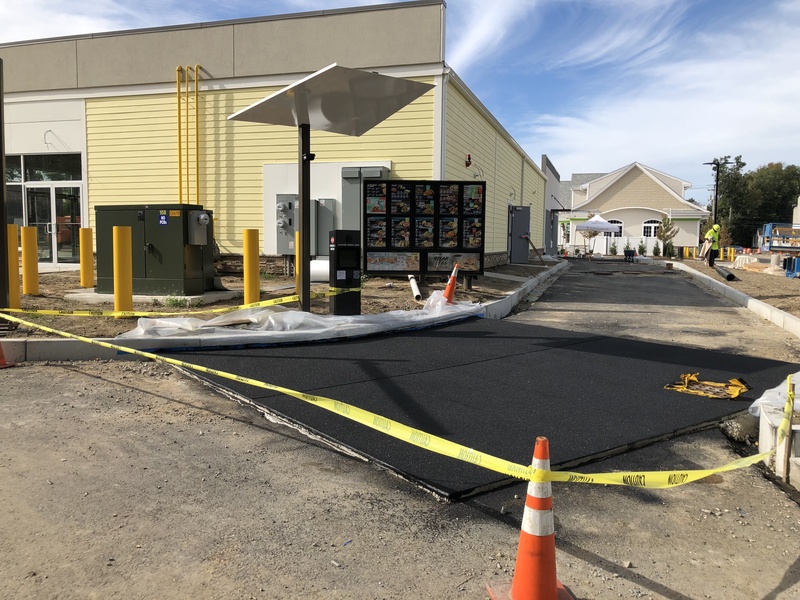 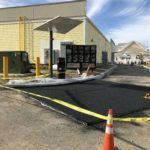 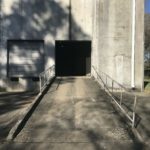 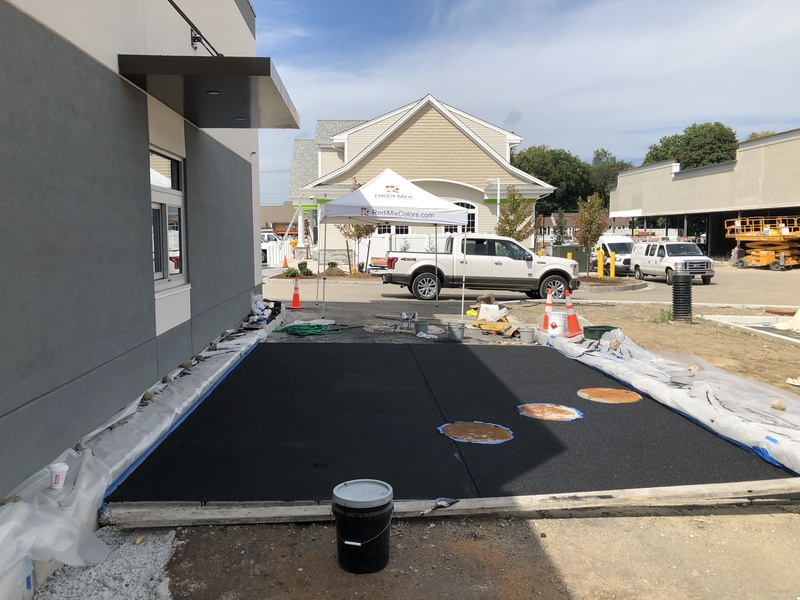 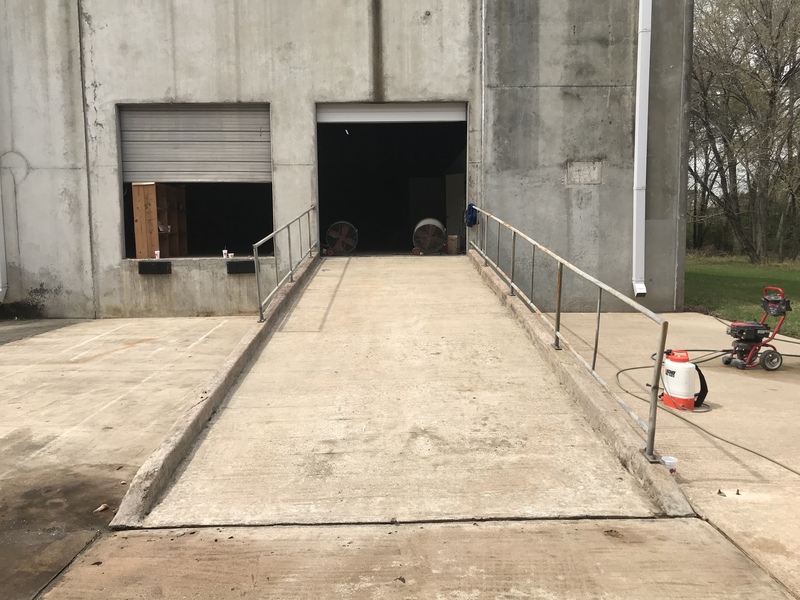 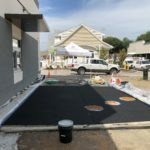 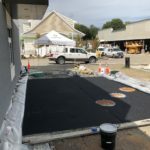 One of our certified installers, Business Flooring Specialists of Houston, brought this old decayed forklift ramp back to life with the commercial outdoor application of CPP. 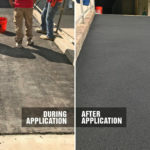 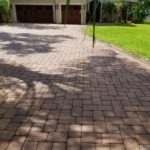 It has performed well over the year that it has been in operation since the application with no signs of excessive wear. 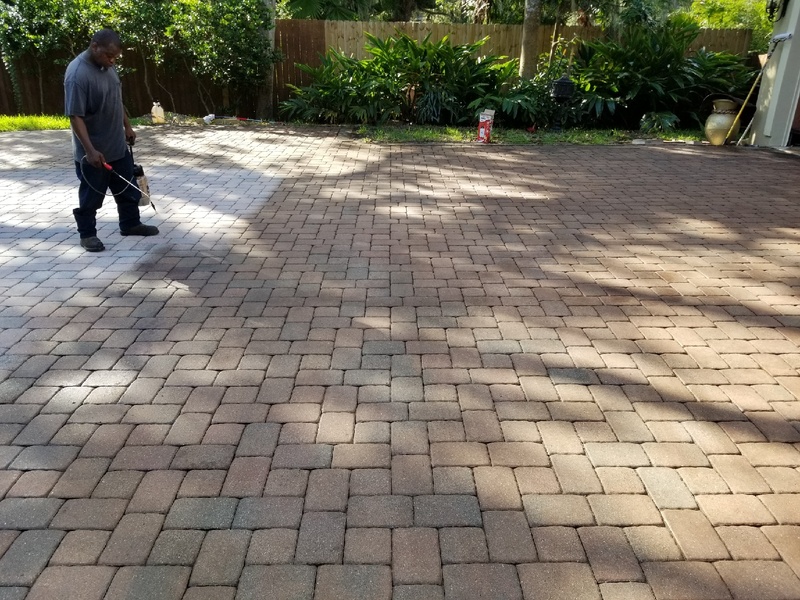 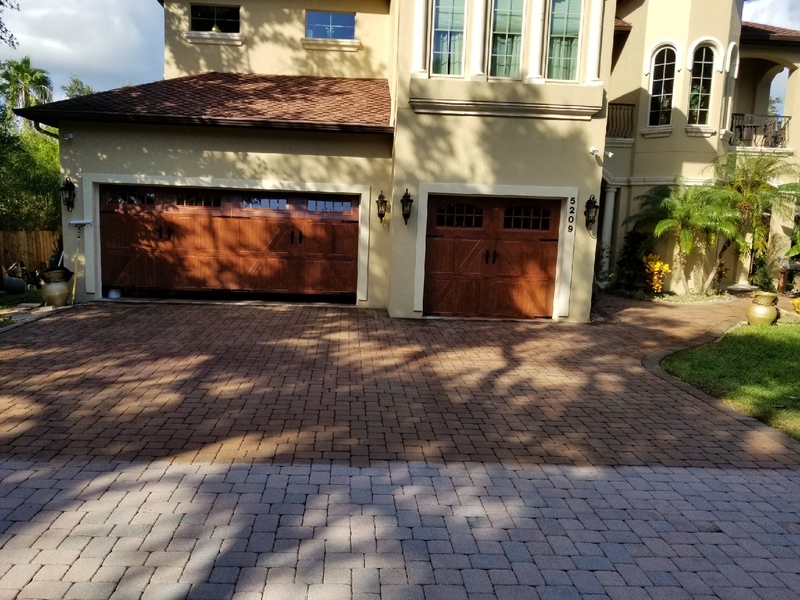 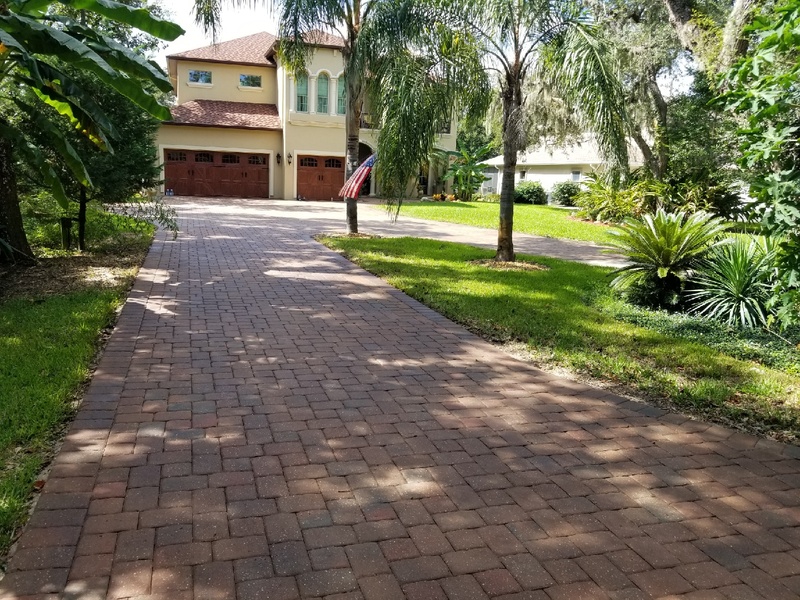 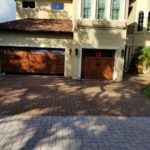 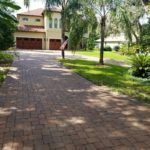 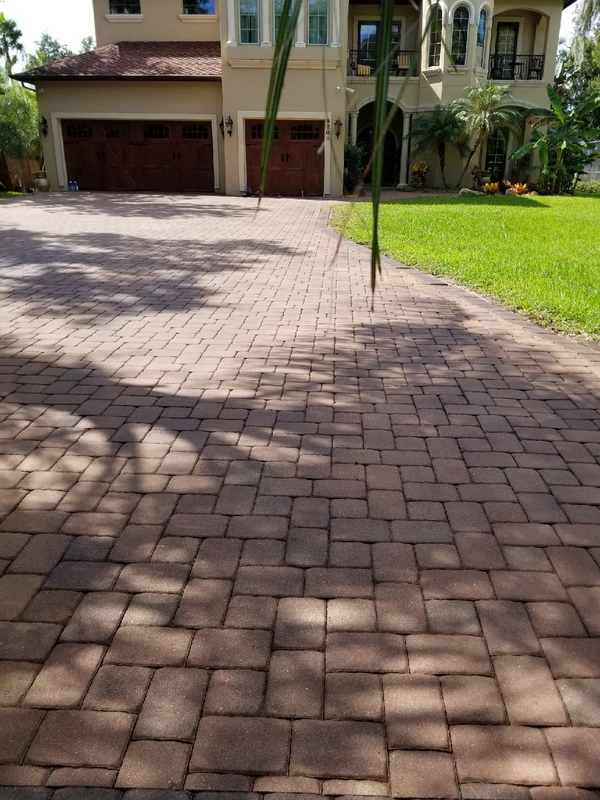 This newly poured concrete driveway and walk was protected with 2 coats of CPP Dark Grey. 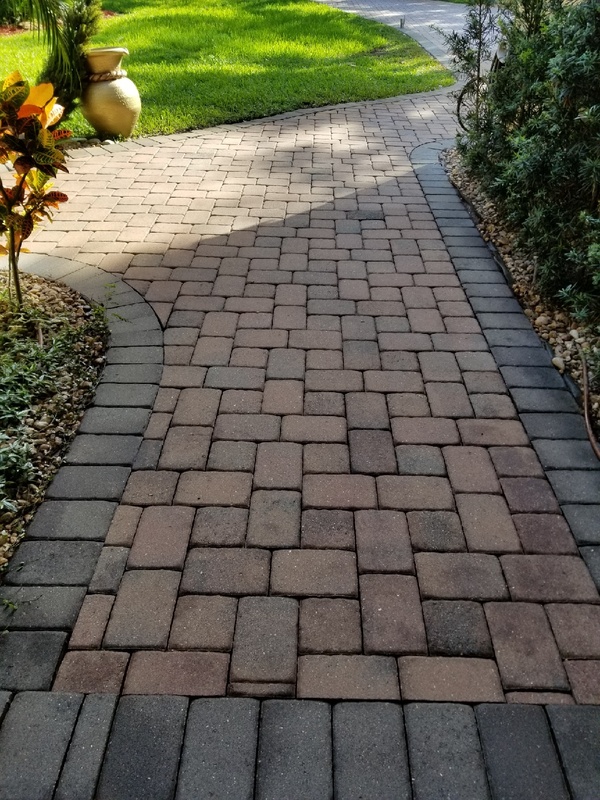 The customer was so happy with the product that they would like us to return in the spring to add some Light Grey CPP highlights to it. 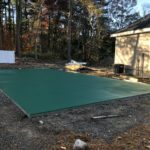 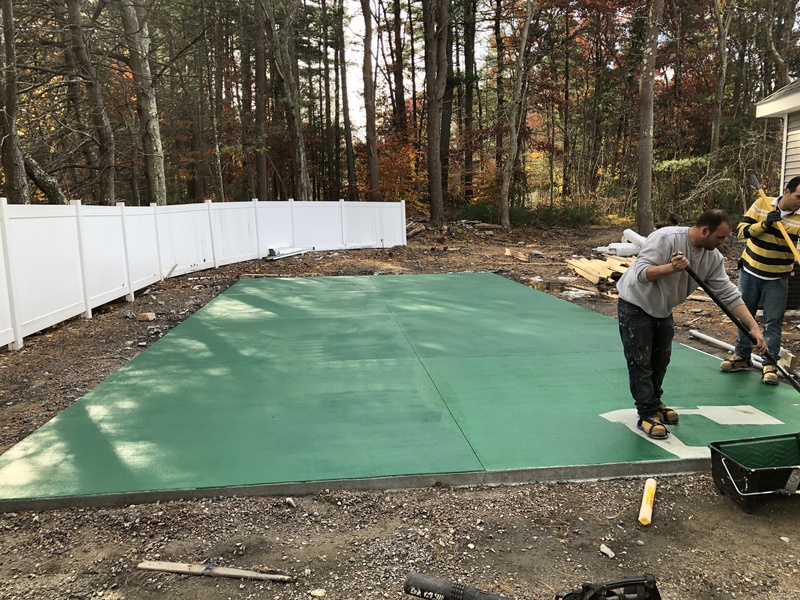 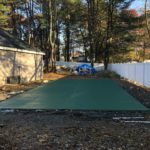 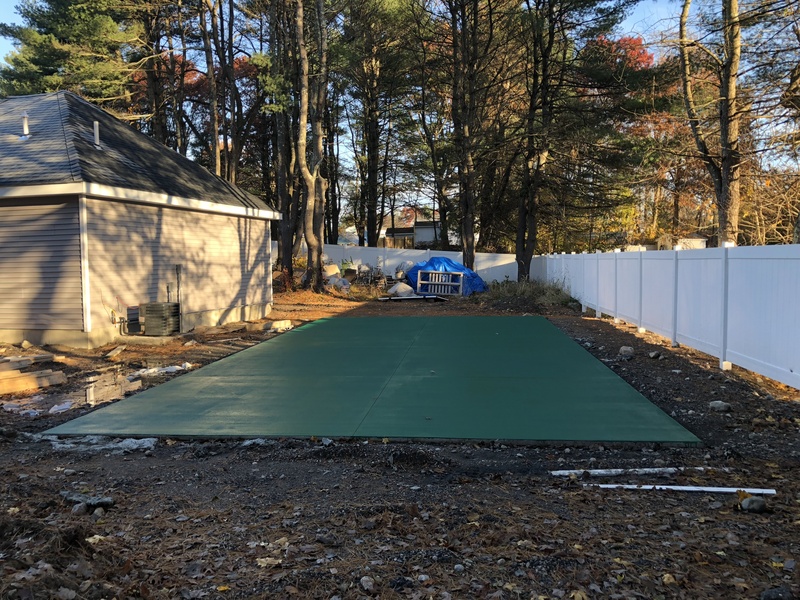 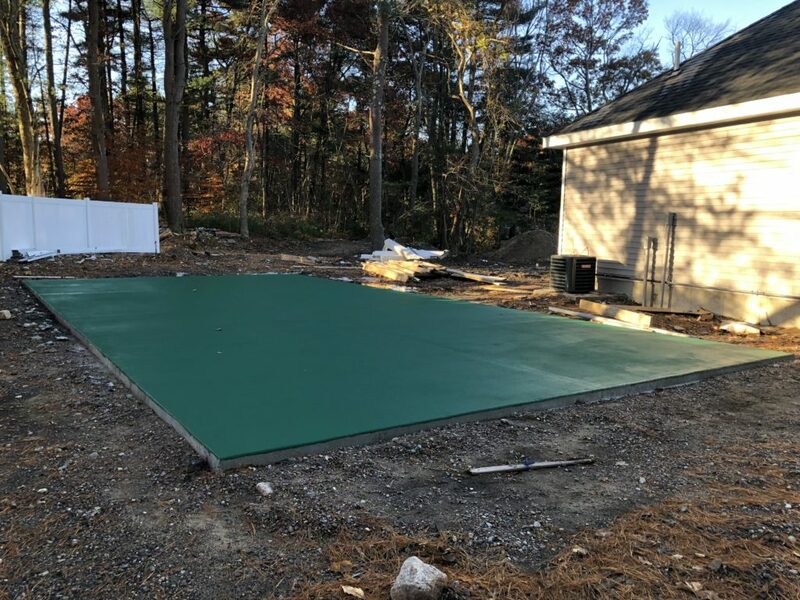 This 20' x 40' space was colored in "Celtic Green" for the homeowner that is building a backyard paradise that includes a pool, pool house and extensive patio for entertaining. 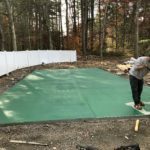 The while lines and other court markings will be added in the spring. 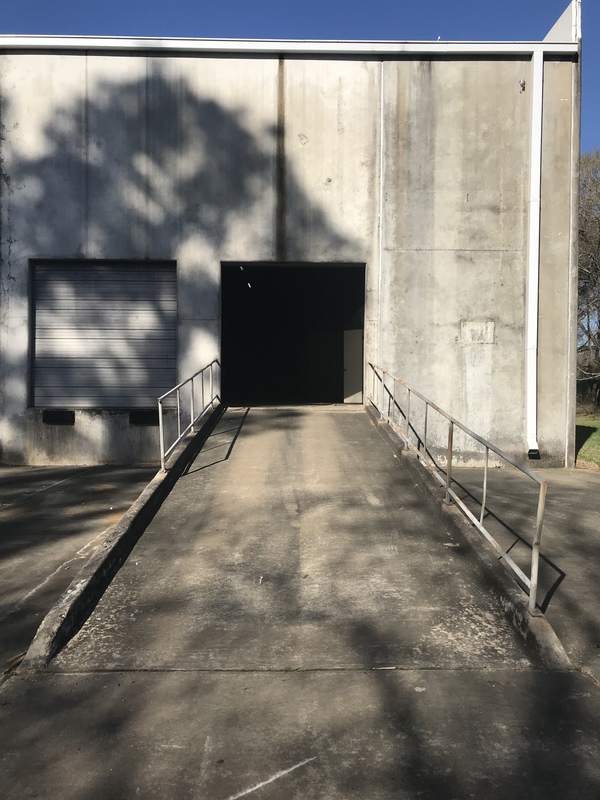 This garage stores antique trucks and tractors. 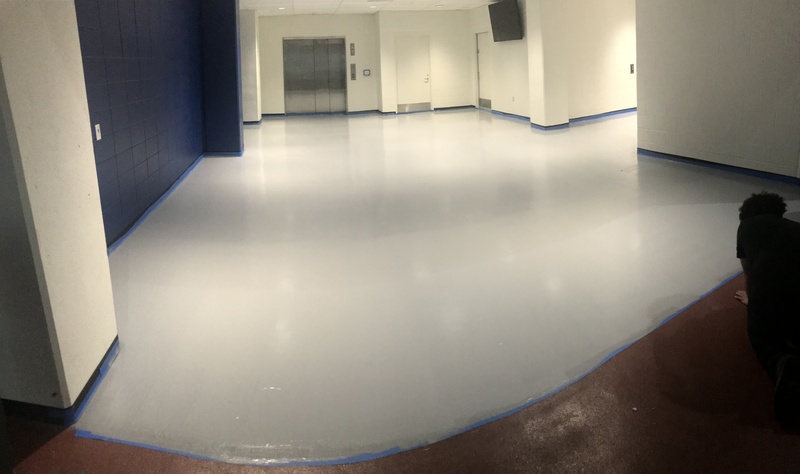 We ground the floor to an even surface profile and applied 2 coats of Light Grey CPP and then added a Dark Grey CPP boarder.